Nate Miller's Tabletop Games: Star Wars "Shards of the Empire" Setting Overview. Star Wars "Shards of the Empire" Setting Overview. Star Wars “Shards of the Empire” is set just a little over a year after the destruction of the 2nd Death Star and it follows the new post Endor storyline set up by Episode VII. 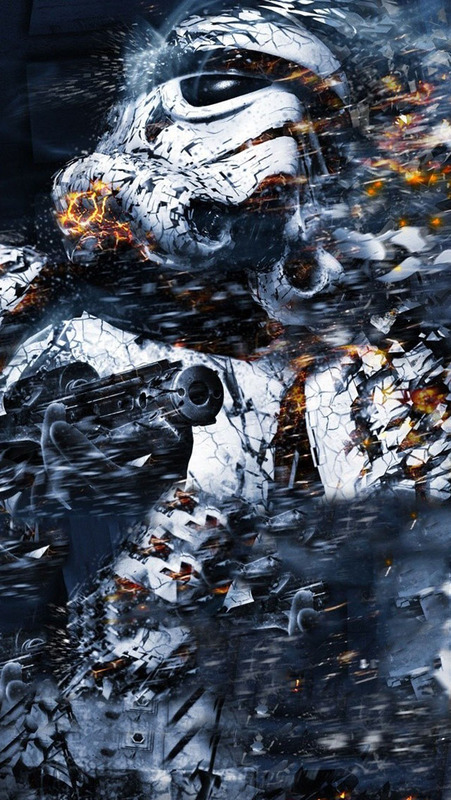 There isn’t a lot of information about the new timeline between the battle of Endor and the new movie. Basically the Empire seems to have crumbled during the first year after the death of the Emperor due to internal fighting and pressure from the New Republic. What is left of the Empire either disarms or flees to the unknown regions to later become the First Order. The New Republic decides they don’t want to be like the old Empire so they sign the Galactic Concordance reducing their military down to a laughable level and moving the government around from system to system so as not to show favoritism. 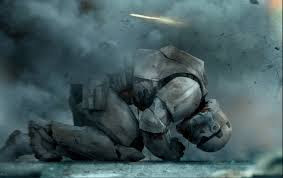 Planets and systems are allowed to have defense forces of their own but they are restricted from creating Stormtrooper forces and having large numbers of armed capital ships. 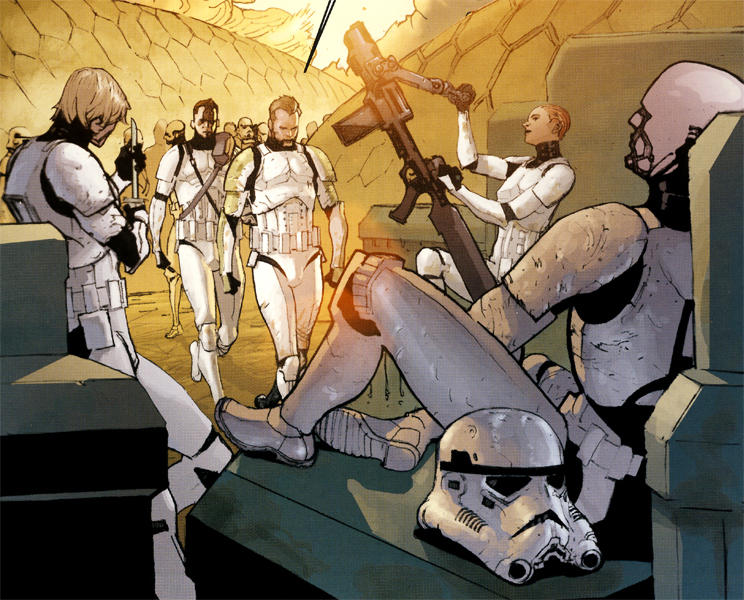 Eventually the First Order is discovered and while the New Republic mostly hides their heads in the sand a few powerful individuals start the Resistance. Within this framework I’m trying to create a more realistic explanation for what happened after Endor. 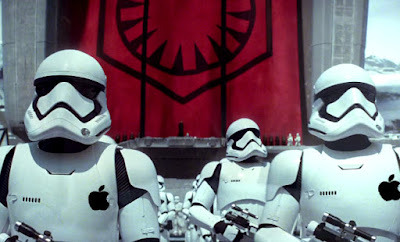 Nothing as big as the Galactic Empire just goes away in such a short time frame. 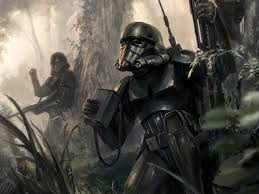 In my “Shards of the Empire” setting most of the more powerful Imperial forces either fled to the Unknown regions to form the First Order or re-aligned themselves to the New Republic. The rest of the forces followed roughly three paths. Some Imperial forces have basically become Pirates. With the means to take what they want, especially, in the Outer Rim several smaller groups of Imperials have turned to banditry. None of these forces are large enough to threaten the New Republic in any way but they can certainly threaten individual and remote worlds in the galaxy. Some planetary governments have taken to hiring former Rebel Alliance personnel as Privateers to combat this threat. 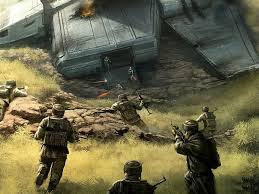 Other Imperial forces have taken up an insurgency against the New Republic using basically Rebel style tactics to conduct hit and run raids against New Republic targets. 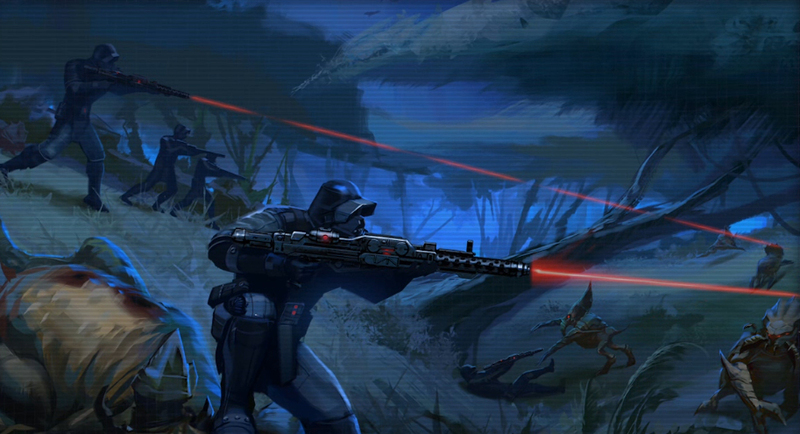 These cells are typically led by former Imperial Officials who were fanatically loyal to the Empire. They are not all aligned with each other though they share the same cause. The New Republic has responded to these threats by downplaying them and encouraging local systems to be vigilant against Imperial Loyalist. There are other Imperial forces who have either tried to carve out small kingdoms for themselves in remote areas or they have decided to embrace the New Republic while secretly working to undermine it. 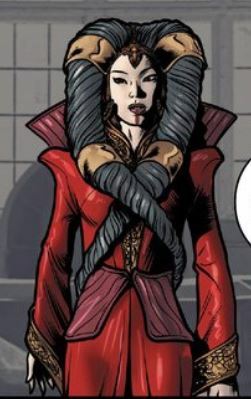 Some systems still have a very Imperial culture run by former Imperial officials who find clever ways around the restrictions put in place by the New Republic. A number of these systems are also secretly aligned with the First Order and are supplying the movement with arms and information. For the most part the New Republic is aware of these former Imperial factions but their response has been to either downplay the threats they represent or to ignore them completely. Most system regard the New Republic as the legitimate government but the systems of the Outer Rim and other remote areas of the galaxy have become far more dangerous and lawless since the fall of the Empire. The Hutt Cartels have been very aggressive against their neighbors and several other criminal organizations have increased their activities in the last year. Other systems have decided to rule themselves rather than join the New Republic and these systems have rejected the restrictions places on the Galaxy by the Galactic Concordance. 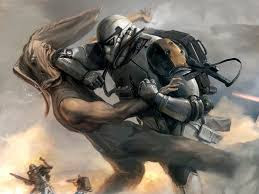 In my campaign former Rebel Alliance personnel have joined a private security company called “Sand Panther Squadron” and they are currently employed by Queen Sosha Soruna of Naboo who had assigned them to aid the pirate king Nym of Lok in his struggle against the Imperial pirate force called “The Storm Lords” who have also threatened her own system. 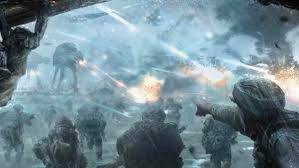 Eventually they will face other former Imperial threats and be a part of uncovering the threat of the First Order and the formation of the Resistance but those events are many chapters away. At this time I am currently behind posting game reports. We are six episodes into the campaign and the players have just fought a major battle against the Storm Lords in the Naboo system. I will probably post most of the the last few game reports as short synopsis with a gallery of images.